In the picture: Joseph in a grooming session. A man of many parts, Sri Joseph Mattappally, is a hard nut to crack but a gentle person to deal with. He is too busy a person as he is the all-in-all, manager and administrator of two busy-bodies: first the ‘Church Citizen’s Voice’ (CCV) www.almayasabdam.com, the all-English global website running strong; secondly and simultaneously an earlier one he had burdened himself with, the 11 year old ‘Indian Thoughts’, a secular website with spiritual content that reaches out to nearly10,000 desktops around the globe, each day. No wonder why he has no time and too allergic to highlight his achievements or profile. Nay, he hates to do it. Why? To shine in the glare of publicity, or “pea-cocking” as Pope Francis would describe the “showy,” “bossy” bishops, simply is not his forte at all. It is for people who are too busy trying to look busy 24 hours but do little, he says. He doesn’t have to look busy, he is, with too many things on hand. 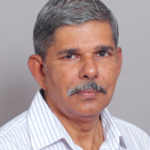 It should be pointed out immediately here itself, that CCV actually grew out of the four year old bilingual (Malayalam-English) Almayasabdam blogspot to which he was very intimately connected earlier and which is now under the direct control and management of the Kerala Catholic Reformation Movement (KCRM). So how to get a peep into his deceptive commoner facade hiding a treasure chest of talents galore and uncommon achievements and activities he is busy with? Even before hopping on to Indian Thoughts, he was the co-founder of Hamfest India, the annual festival of Amateur Radio Operators (Hams) in India. For his work in this field he was even honoured as the Ham of the Year in 1992. That means, he was and is deeply intertwined with connecting people across all man-made boarders and barriers through communication using radio or internet. As a Ham (VU2JIM), he successfully homebrewed for himself, shortwave portable transceivers, using local parts and gadgets. His articles under ‘Gateway to Ham Radio’, which appeared regularly in ‘Electronics for Everybody’ is still a handbook for home brewers. In the midst of it all he also became a Reiki Master in 2001. That was because he happened to bump into Dr. Shyamal Durvey and her Reiki India Research Centre during one of his trips to Mumbai to meet a college mate who guided him in Electronics. There he read books on Reiki and got enamored of it. Realizing that this was the philosophy he was searching for long, he attended a Reiki Seminar under Shri. Rajiv Gaitonde of Reiki India Research Centre, Mumbai of which the Chairperson was Dr. Shyamal Durvey. After six years of learning and training in holistic techniques leading to healing he became a Reiki Master, and that at the presence of Sakthipeet Sankaracharya, Guru Dathapadma Swamikal. The years he spent with Reiki made him introspect and changed even his vision on the purpose of living. During those years he was instrumental in introducing Reiki in Kerala. In spite of the financial benefits it brought, he became ill-at-ease with it and wanted to live in freedom doing individuality development classes. It was for this purpose he initiated the Indian Thoughts in 2004, which now is one among the most subscribed moral education online services in the world. Indian Thoughts daily mails are not sent to any available address list but only to people who ask for it. This is a “must read” for those who want to get an insight into its real worth. Subscription to it is done online from the site. It is free. This online arrangement allows everyone to choose their preferred writer or category or unsubscribe at will. The categories or topics treated from Monday to Saturday are: Health & Happiness, Realms of Value, Generation Z, Blooming Stars, Light a Lamp, Smart Plus, Life's Lessons and many more. These are treated by eminent persons. Their names are available in the website. Indian Thoughts, which upholds a unique vision of spirituality beyond religions, is a free online moral education service going uninterrupted for the last 11 years. This site now has for free browsing, more than 2000 moral lessons most with live stories in it. Counting all the six weekly categories it handles, Indian Thoughts has a subscriber strength of 9972 members to be precise, from all over the world. 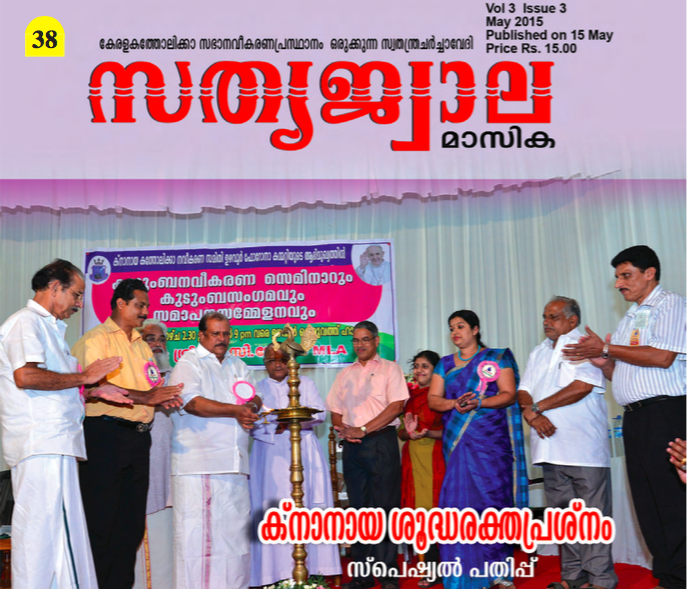 On its panel of contributors, you can find an array of great names and thinkers like Swami Sachidananda Bharati (Founder of Dharma Bharati Mission), Justice PK Shamsuddin (formerly of High Court of Kerala), Dr. K S Radhakrishnan (former vice chancellor to Sanskrit University and former Chairman of Kerala PSC), Fr Joe Eruppakkatt (former Gen. Manager of St Paul’s Publications Mumbai), Dr Sunil G Garg (Educationalist – Lucknow), Shri Rakesh Mittal IAS (UP), Swami (Dr) Snehananda Jyoti and more. Sri Joseph handles the section: Life’s Lessons. Though the writers touch different topics they all give an insight into what Indian sages said and how they thought. But how did it all get started is like unraveling a riddle. Attending hundreds of discourses and reading many books on holistic techniques, Sri Joseph, was driven by an unstoppable urge to share those powerful ideas with the outer world. So he began compiling a list of acquaintances and started mailing thought-provoking morals and anecdotes limited to one or two paras. After one year, it was christened in 2004 as Indian Thoughts using it as a banner in gmail. He really wanted it to make it a powerful website to store all stories and inspiring thought bits, precisely for the purpose of sharing them with an unlimited number of people around the world. For he knew that the 21st century is going to be of netizens and one has to switch over to instant online communication to influence and change people for the better. Did he do all these as a one man battalion? Not at all. God provided on the mountain top and help came from unexpected quarters. One small instance he recounts. During those days of search to share, accidently or providentially a youngster in the teens in the family circle found time to share with him frequently looking up him as his mentor and guide. On his part he was giving him spiritual and moral lessons. Seeing this youngster’s keen interest in web techniques and his dream to become a computer expert, Joseph paid for a server space and asked him to manage Indian Thoughts. Surprisingly, he made a website using his IT study and engineering back ground. This was the beginning of two great establishments, Indian Thoughts and Webandcrafts.com This boy learned the basic techniques of intention setting and living in trust. In spite of his being a dyslexia patient, now he runs a fast growing software company in Infopark, Koratty. In 2013, he was selected by a consortium of Indian IIMs as one among the most successful 30 entrepreneurs in India. In 2014, his commendable growth with limited resources was appreciated by US Secretary of Commerce. Joseph says, he owes this company (of which Joseph is the official mentor) too much because it is this youngster who continues to sponsor CCV and Indian Thoughts. This boy however is only one among the many of that class who benefitted from their interactions with Joseph. All these details give an insight into the resources Joseph brings along to run the CCV efficiently. His current aim is to make the CCV one of the world class Global portal for the benefit of those who are ready to grow to the status of a world citizen and have something constructive to contribute for building a world community that promotes peace, fraternity, liberty and unity that overcomes all divisions based on class, caste, creed, community and country in order to end or at least reduce, all sorts of divisions and infighting in the world today. 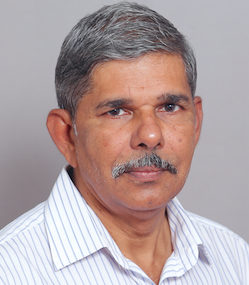 Sri Joseph was born on 28 -2 1952 and brought up in an average agricultural Catholic family at Elamgulam (Kanjirappally), did his higher studies in Kuriakose Elias College Mannanam and St. Thomas College Pala from where he completed his post graduate studies in Eng. Lit. Joseph is married with four children – one boy and three girls – all are married and settled. His son is in Ahmedabad where he thinks he is destined to spend his old age. As for now, his whole time is spent on two things: Church citizens’ Voice and Indian Thoughts. His email is: jmattappally@gmail.com, and Mob. 9495875338 . “You are most welcome, your servant at this end to share and learn”, says Joseph.